those who might be reading and not know. to stay on track with my weightloss and desire to be more healthy. The First thing that has helped me, was to use a... Fat Quarter. So, how does a Fat Quarter help me on my weightloss/health journey? week we will owe a fat quarter, or we will win a fat quarter. 1.4 lbs, from her previous week...then, I OWE her a fat quarter. the 6 days straight. Oh...you betcha ...I had some really good excuses! ... $2 for any week that I didn't get on for 6 days straight. ...would thwart my having to pay the $2. IT WORKED!! Maybe YOU have some creative ideas for a "carrot" that motivates you? It doesn't have to be expensive or big. myself...or "charges" myself..., well, it's just not enough motivation. What are YOUR thoughts about being accountable to someone else? being accountable to just yourself? you like a more chocolat-eee taste...add more protein drink. Still working on going farther and at an incline. I haven't seen for quite a few years. I NEED to hold ON! that you have for this coming week? "...even a half step forward, is better than standing still"
Those are some great ideas! I basically told myself that I would walk every single day and that I have no excuse not to. I haven't gone every single day (I have a baby, so sometimes it's a little too cold for her), but I go every single day that's nice. So far I'm down a pants size, and next weekend I am going shopping for some new (smaller sized) clothes! That will be my reward, especially since it's starting to get warm finally. 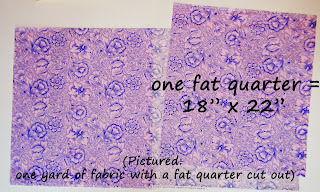 That is such a cool idea about the fat quarters. Talk about incentive!! I think it's great that you have a friend to help you keep to your regiment. Congratulations on shedding some pounds. I was not as successful this week as I hoped. I only exercised twice, but I did manage to get in a 3.5 mile walk. No pounds shed, but no gain. My goal for next week is to get back on track and exercise 4 times and get back to drinking 64 ounces of water every day. I think it's great to have a friend, because I can't do it alone. I haven't even been able to get started. It's really depressing. My DH suggested I go bike riding with my DD while she's home on spring break. I don't even have the energy to ride to the corner. I think a friend to help with the incentive is a wonderful Idea. If I can't walk outside, I do my laps around the inside of this huge house - my grandsons joined me today - one pushing a truck and the other his little lawnmower - we were a scene for sure. I need to commit to writing everything down again. I didn't keep my journal last week, and even though I did lose again, I know I will be slowing it all down if I don't keep track. That's a must for me, cuz I will snack away, if I don't think it's going to 'count'! Thanks for the great incentives....the fat quarters would work for me!.....I just wish I had a friend who was willing to do this with me. I know it would make it just a smidge easier..... and every smidge helps! Maybe I'll turn it into "for every pound of fat I lose, I get to buy a fat quarter!" Hmmmmmm! That just might work! Yay! I'm seeing a number I haven't seen in about a year, and that makes me happy. Now to drop it down to one I haven't seen in five years! I've tried both ways, and for me, it works better to be accountable to myself. I completely understand how the other can be successful, too, though. I exercised this week. I hauled 3 hand crank sewing machines and 4 treadles to my guilds quilt show (packing/loading/unloading/unpacking) then did the same thing in reverse late this afternoon. Cast iron machines weigh a ton! Not to mention all the other things I had to take. You've got some good motivational ideas there!